By creating engaging content, supporting employee success, and fostering online relationships, your company has the basic components needed to turn a disengaged user into a sales referral. Your employees are your key to tapping into networks of users that may have been unreachable by your company’s online marketing efforts alone. As a company, users tend to view your brand as less authentic than, say, your employees. Their perceived authenticity based on the fact that their profiles are connected to one person has the ability to generate more traffic and garner more leads. The trickle-down effect from the time you generate new content until it reaches customers through employee content sharing is important, as the resulting engagement can influence the amount of sales referrals and, thus, sales that your company can acquire. 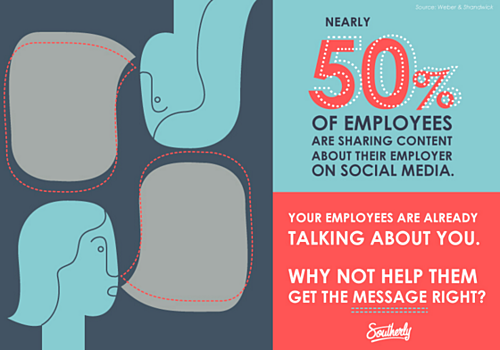 Read here to find out how to get employees involved in content sharing. Our goal at GaggleAMP is to extend your reach and influence by tapping into employee social graphs to amplify your online marketing efforts. This is why we continually emphasize the importance of employee sharing and its impact on the efficacy of your marketing efforts. Still, many don’t realize the power of employee social graphs and how they’re truly a source of referral business. Engaging Content: This is the core of the matter, as no matter how many employees share your content or how often they share it, only pieces that are engaging are truly going to gain traction with the online community. By pushing out engaging content to your employees to share, you’re giving them the tools they need to succeed. Interested Employees: Sales referrals through employee content sharing are truly only made possible if the employee shares the content in the first place. Keep your employees interested and motivated to share content by promoting their success through different programs aimed at following up with their progress and achievements on social media. Online Relationships: In order to take interest and engagement to the next level of becoming a lead and then a sale, one must foster the online relationships created therein. Train your employees to know how to interact in a professional yet personable manner online, and you’ll be more likely to see those connections grow into much more. By creating engaging content, supporting employee success, and fostering online relationships, your company has the basic components needed to turn a disengaged user into a sales referral. Read up on how to utilize employee social graphs as well as the ways that you can make it easier for employees to share your social content.